“I am [a] reflection of my collections. I am [a] reflection of those moods and ambitions. I am Tamuna Ingorokva,” says the Georgian designer of her eponymous line. Said with such a self-assured brazenness, she proves the truth in her words, speaking with the same bold expression that pulsates throughout her collections. Proudly born and raised in Tbilisi, Tamuna started her line in 2002 and has been blazing a trail for the pint-sized nation making many headlines in the industry of late. Tamuna is creating a chic, palatable vision around the nation’s stark landscape. Despite the permeance of the Eastern influence in her aesthetic, its discernibility is more interpretive than intentional. “I would be happy if any critic identifies my Georgian origin in my collections, [though] my signature carries a genuine thread which is Georgian.” The Georgia that breathes in Tamuna’s collections is not a dismal country devastated by Soviet-era disputes but a jubilant, liberated nation. Femininity, fluidity and freedom abound in her collections; like a striking white shirtdress, cinched to emphasize the exaggerated power sleeves, or a silky, sensual take on a masculine tuxedo suit. Energetic streaks of cobalt, cerise and jade transpierce her neutral palette of monochromatic looks. Over the course of several seasons, she’s developed a signature of architectural details, vibrant tonalities and strong, commanding silhouettes. While Tamuna has no particular muse in mind, “as a citizen of the world, [in designing], I imagine a woman that is a citizen of the world as well.” These are not trendy pieces of the millennial era, but armor for women masterfully defining their world. 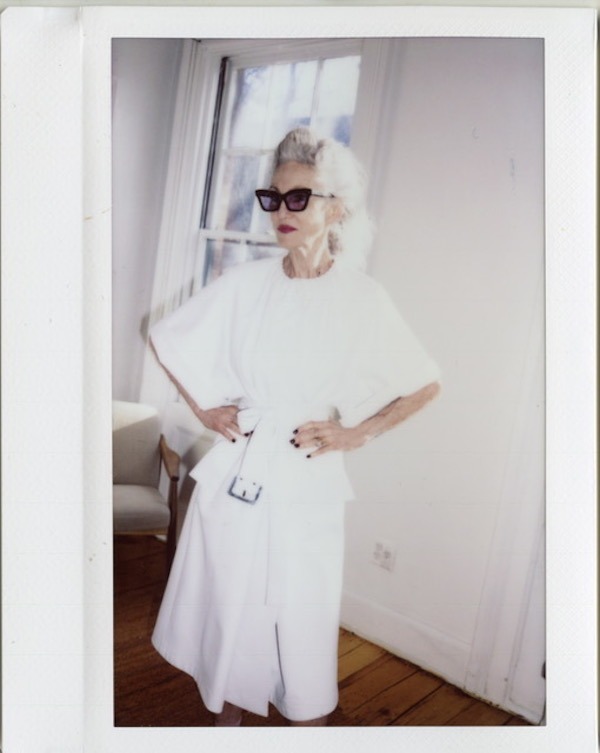 She designs for the every woman, with fans ranging from supermodels Edita Vilkeviciute and Doutzen Kroues to fashion icons Lyn Slater and Linda Rodin. Even if she designs outside of geographic boundaries, the designer admits an undeniable “Eastern-ness” to her aesthetic. “The Eastern Block is a very important highlight for global fashion, but to be more precise the Caucasus culture, which remains largely unknown to the general audience.” The region is nestled along the Eurasian border – Russia, Georgia, Azerbaijan, Turkey et al – and Caucasia’s cultural landscape spans from Medieval, Neo-Classical, Stalinist and Modernist art. She posits, “How could the mesmerizing legacy of Georgian cinematography – especially Sergey’s Parajanov’s brilliant Caucasian aesthetics – be left without renewed attention?” Her collections – as the designer herself- are distinctive of the regional fabric, yet bridging an old-world sophistication with a modern-day sensibility. Tamuna has been making waves in the region for several seasons now, and has set her sights on “getting very global.” Keeping true to the role model she initially set out to create, with her tenacious ethos and daring designs, she’s paving the way for generations of Georgian talent to follow. Watch out: her empowering Eastern elegance is coming for you.